Looking to buy Penetrating Sealer Water Repellant – Baracade Silane 100 – Euclid Chemical in Rochester NY, Ithaca NY and Western New York? The Duke Company is a leading distributer of Baracade Silane 100 and a wide range of Euclid Chemicals. Our team is able to support your company with expert advice, pick up and delivery. Baracade Silate 100 is renown for its advanced engineering and notable features including its breathability and ability to deeply penetrate concrete, as well as serve as a very effective water repellent. 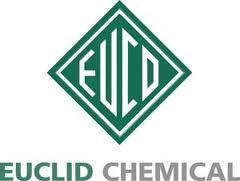 This Euclid Chemical product has earned a superior reputation for protecting concrete, all types of brick, block and stone, and protecting against water penetration, corrosive deicing chemicals and environmental factors like acid rain.